Dinner and a movie used to be the most common form of a date that you could have. For a long time, seeing a movie and then talking about it over dinner or going to a drive –thru movie was almost a rite of passage. However, there are some naysayers who don’t think that this is a real date anymore. 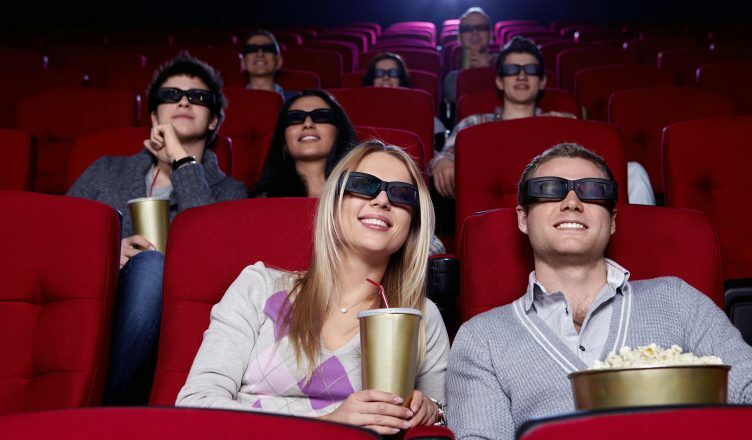 We’re going to examine several reasons why a movie date is still relevant in the modern day. One thing that nobody talks about when it comes to using movies as a great dating opportunity is the simple fact that you get to sit next to someone and not say a word for two hours. It’s a great way for you to get to spend some time next to someone that you are romantically interested in. You’ll be able to get past the jitters from the first date and be comfortable in one another’s space. Another reason that a movie date is a great way for you to have some fun with your date is that it gives you a reason to talk. Think about it: if the two of you get to go out and see a movie that is interesting, romantic, or even scary. Then each of you gets to talk about it over dinner. Maybe you will even establish an inside joke. The bottom line is that you will remember the date every time that you see the movie from then on. It will hopefully be a pleasant memory for the both of you! Does your date cringe away from gore or does she lean forward and love the splatter? Does she weep at the site of a couple breaking up or does she celebrate? Either way, there is something that you can pick up about your date while you are watching the movie. If she snuggles up to you during a particularly romantic part, then it is a good sign that you will be getting a second date. Letting your date pick the movie will also tell you a lot about their personality. Do they like adventure movies, romance, or do they opt for more kid-friendly stuff. There are a lot of movies that you can go out to in the modern day, so paying attention to the detail about the movie he or she picks can lead you to getting a better understanding of your potential partner. When it comes time to buy tickets and snacks, does the man or the woman pay? If you want a guy that is willing to go out of his way to take charge and pay, then you will get to see if he foots the bill. If you’re a guy that wants a woman that is willing to pay from time to time, then you can see if she at least makes an effort to pay. Either way, you can use the movies to set a tone for future dates. As you can see, going out to the movies is all it’s cracked up to be and more. No other place is going to allow you to get so close to your date, catch up on cinema, and ask your date such a wide range of question. You can use all the situations in the film to talk to your date and get to know each other better. All in all, short of using a chat site like naughtydate.com, you’ll have a hard time getting to know someone so well in such a short period of time. Will Henry Cavill don Superman’s cape again or is he permanently grounded?